A superb faculty is the hallmark of an excellent school. 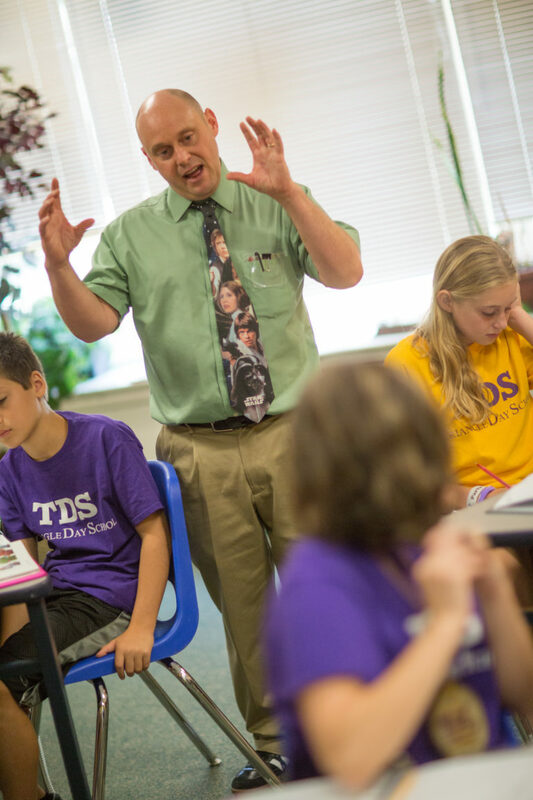 At Triangle Day School, faculty and staff join a community that is dedicated to high professional and ethical standards and committed to promoting excellence in teaching. Our professional standards are in turn a model for our students. We provide competitive salaries, excellent benefits, funds for professional development, and the opportunity to work with outstanding colleagues and students. If you are interested in joining our community, please look at our current opportunities. If a position fits your qualifications, please email a cover letter and resume to employment@triangledayschool.org. Triangle Day School is an equal opportunity employer. The School does not discriminate on the basis of race, gender, religion, national or ethnic origin, or sexual orientation in its hiring or its administration of any policy or program. We are looking for a teacher to lead a Creative Coding workshop the week of July 1-5, 2019. Teaching and experience with children, ages 8-12, is required. Hours are 9am-3pm. Submit a cover letter and resume to summer@triangledayschool.org. We are looking for teachers that would like to substitute in the Lower School grades (TK-5) throughout the year, when the regular classroom teacher is absent. Teaching and experience with children, ages 4-10, is a plus! Substitute teacher hours are typically from 8am-4pm and days are variable.